Many small business owners do not know that the Google Local Business Center is now called Google Places? If you have a business, you need to claim your listing and make sure it’s properly completed. It’s Free! This blog post shows you how you can do it yourself for free, or if you would rather not worry about the keywords, the set-up, the rules and guidelines to follow and ongoing maintenance, click here for details on how our professionals can take of it for you. This is where you claim your listing in Google Maps to showcase your businesses. Often these results show up at the top of the organic Google search results (a screen shot of Google Maps results is shown in the image below). When people are looking for local information, they use search engines – like Google – 82% of the time, so you certainly want to be in the search results when potential clients are looking for you. Google Places allows you to include your business contact information, hours of operation, directions and even photos and videos. You can also upload menus and coupons. All of that is free! Then, for a fee you can use Google Tags to stand out from your competition with tags on your listing. Also, before you set your Google Places, be sure to do keyword research to find what users are typing into Google to find businesses like yours. (Google Keyword Tool offers a good place to look or you can speak to a professional with more in-depth keyword tools). If you would like to set up your Google Places account on your own, and would like a guide, you can see Google Places Help and the Google Places User Guide. When setting up your listing (and uploading content), be sure to use the best keywords that you found from your research so your business listing will show up and be higher in the ideal Google Maps results. Be sure to complete your profile (including photos, videos, business hours, methods of payments, etc.) so you will be more likely to rank higher in the map results. For service-based businesses that do not have a retail store and go to the customer, you can enter your service area by listing cities or zip codes served. After setting up your listing, be sure to update it at least every month. You can add posts to your listing and they expire after 30 days, so you will want to keep them updated. You can even display your business’s QR code (shown in the image to the right) so that customers can use their phones to quickly get to your Place Page. 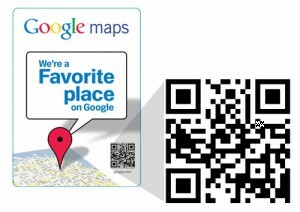 For more, see About QR codes or further details from Google’s blog. Use a direct-response ad or coupon to give users a reason to visit your store, office or website. Then, give them something of value so they will provide their address, phone or e-mail. Deliver outstanding service and follow-up to secure additional sales. Would you like a professional to set-up and maintain your Google Places account for you? If that’s how you feel, yes, we can do it for you. It’s incredibly affordable and 100% guaranteed. 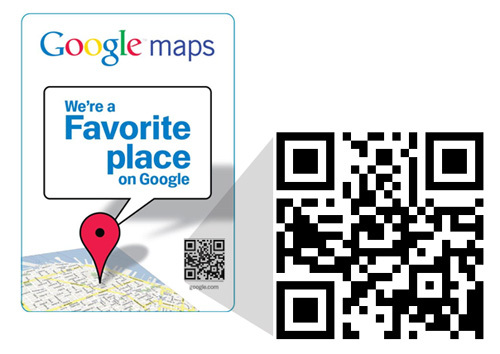 For further details or to get started, click here for our Google Places setup service. Finally, while optimizing your Google Places page is certainly only a portion of a full online lead generation strategy, it is an important part of it. Therefore, if you know business owners that could benefit from this information, please use the Share buttons below to share this post. Also, be sure to leave a comment below on what you think and how you have used Google Places or other tools to reach success.